Hallmark Movies and Mysteries has been the home of Hallmark Channel's darker fare since 2014. If you want mystery movies instead of romances (or you want some mysterious romance), then this lineup is for you. This list of 2019 Hallmark Movies and Mysteries gives you the clues on what to look forward to and what you might have missed. Having perfected the "wheel series" style format of switching between different original movies in the same weekly time slot, Hallmark Movies and Mysteries has several ongoing movie series to add some intrigue to your evening. The mystery movie series include the Aurora Teagarden Mysteries with Candace Cameron Bure and Marilu Henner, Morning Show Mysteries with Holly Robinson Peete and Rick Fox, and Darrow and Darrow with Kimberly Williams-Paisley and Tom Cavanagh. 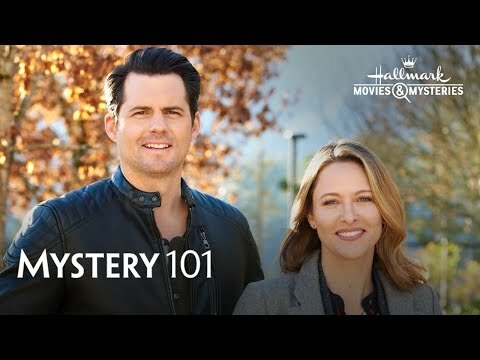 There is even a new Hallmark mystery series starting in 2019, Mystery 101. What is going to be the best Hallmark Movies and Mysteries film in 2019? Vote up the movies you can't wait to watch or watch again. When a college student is found dead, English professor Amy (Jill Wagner) uses her crime fiction expertise to unravel the case faster than detective Travis, who ends up working with Amy to catch the killer. 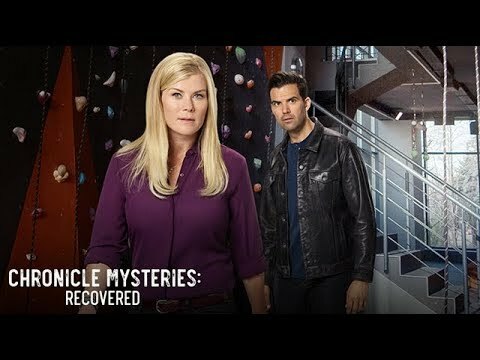 Chronicle Mysteries: Recovered Alison Sweeney, Benjamin Ayres. Alex McPherson (Alison Sweeney) returns to the small town in Pennsylvania where she spent her summers as a girl to record the next episode of her true crime podcast, about the disappearance of a childhood friend 20 years prior. However, after teaming up with the local newspaper editor (Benjamin Ayres), who reluctantly agrees to help her retrace the girl’s last steps, Alex not only uncovers the shocking truth behind the girl’s disappearance, but also a decades-old murder and its cover-up. The latest edition of Alex McPherson's (Alison Sweeney) true crime podcast leads her and most of the Chronicle staff to nearby Macklin, where they investigate the death of a vintner that was ruled an accident by the police. Podcaster Alex McPherson (Alison Sweeney) seeks the truth behind the tragic death of a young lawyer, while partner Drew (Benjamin Ayres) finds himself diving into the shady mishaps of a shipping company. 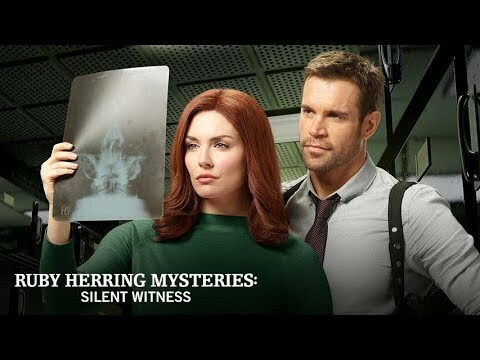 When consumer news reporter, Ruby Herring (Taylor Cole) stumbles onto a murder, the intrepid redhead inadvertently discovers a knack for crime solving. With the reluctant help of a handsome detective, Ruby finds a new career covering crime. 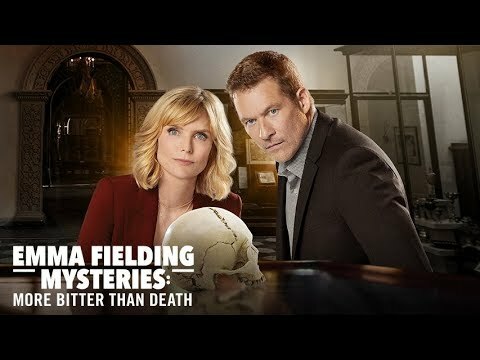 While hosting the annual gathering of the Association for the Study of American Archaeology at Kenzer College, Emma Fielding (Courtney Thorne-Smith) is thrust into the midst of a murder mystery when the President of her organization is poisoned on the eve of announcing her successor. With many of the leading archaeologists present having expressed their entitlement to the presidency prior to the murder, Emma and FBI pal Jim Conner have plenty of likely suspects from which to choose. 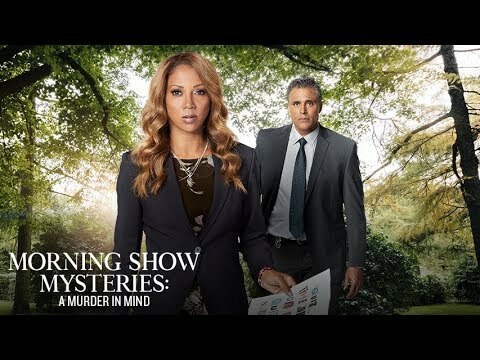 Billie Blessings (Holly Robinson-Peete) is drawn into a murder investigation when Katie Sanders, a former server at Blessings-turned TV star, becomes the focus when it’s discovered the victim was blackmailing her. Billie must sift through the mounting evidence – and list of suspects – to get to the truth and clear her friend’s name. Chef Billie Blessings' (Holly Robinson-Peete) best friend Marian is hired to redecorate the TV studio. When Marian's twin sister is slain, Billie must investigate their close friends to find the killer. Psychologist and former prosecutor Hailey Dean (Kellie Martin) aids her friend Detective Garland Fincher in investigating the slaying of his former Marine friend. And, when the body of a female Marine shows up in the same park where Fincher’s buddy was found, the case takes a whole new turn as Hailey uncovers a conspiracy that puts her own life in danger as she pursues justice for the victims. Psychologist and former prosecutor Hailey Dean (Kellie Martin) aids her friend Detective Garland Fincher (Viv Leacock) in investigating a rapidly growing string of slayings at Atlanta Memorial Hospital. But when she gets too close to the truth, Hailey becomes the next target. Hailey Dean (Kellie Martin) knows District Attorney Paulina D'Orazio is innocent of slaying a man she once put behind bars and must do all she can to prove it in the face of mounting evidence. A crossword puzzle editor (Lacey Chabert) finds her life completely disrupted when several of the clues in her recent puzzles are linked to unsolved crimes, and she is pulled into the police investigation.